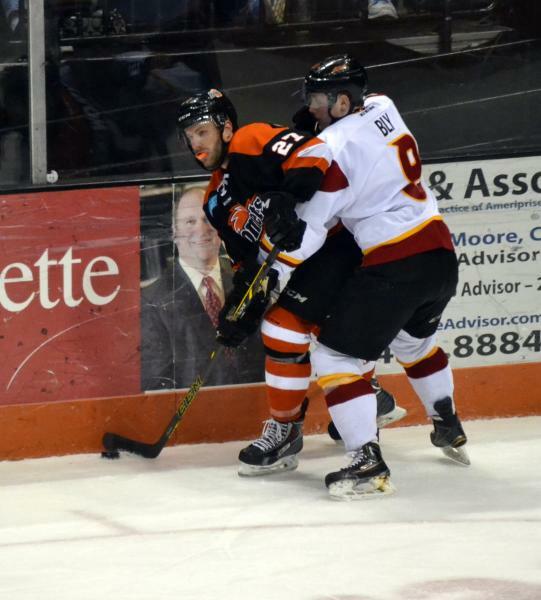 Komets know they let one slip away. during the game I mentioned to my buddy sitting with me "do you remember when Bruce Boudrou( sp) would park his squat frame in front of the net and let Anderson and Loach shoot and then gabby would feast on the rebounds " He ALways slid the puck on the ice( before butterfly goalies) Dont see that either. This looked alot like the game against Florida. Constant attempt for the high-light film play. It also looked to me that Rizk also gave up a couple opportunities 30- feet out to shoot. Pistilli and Perlini are not having good +/- lately. They seem to be the line the other teams are scoring on most. Indy played a smart road game but there was no doubt Fort Wayne was the more talented team. Owen played well.